India is a land of festivals and fairs, virtually celebrating each day of the year! Each festival pertains to different occasions, some welcome the seasons of the year, the harvest, the rains, the full moon, others celebrate religious occasions, the birthdays of divine beings and saints, or the advent of the New Year. A number of these festivals are common to most parts of India. However, they may be called by different names in various parts of the country or may be celebrated in a different fashion. 1. 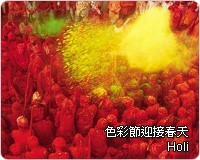 Holi (Mar-Apr): Also called Festival of Colours. It welcomes the arrival of spring by playing with colours. 2. Diwali (Oct-Nov； also called Deepawali): A festival of lights symbolising the victory of good over evil and marks the return of Lord Rama to Ayodhya. 3. 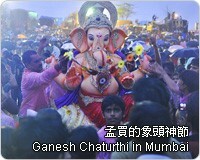 Ganesh Chaturthi (Aug-Sep):Celebrates the birthday of the Hindu God Ganesha. Ganesha has an elephant head with human body. 4. 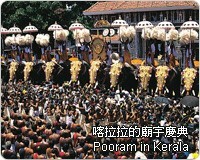 Pooram (Apr-May): Hindu temple festival of southern state, Kerala. One of the highlights include spectacular 30 decorated elephants. 5. 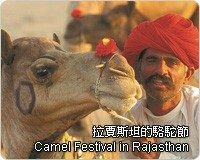 Pushkar Camel Festival (Nov): Colourful trade fair in the state of desert Rajasthan. 6. 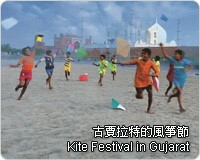 Kite Festival (Jan/14):Fun activity followed by the festival Uttarayan in Gujarat. 7. Milad-Un-Nabi (Feb-Mar): Birthday of Islam Prophet Muhammad. 8. Id-ul-Zuha (Oct-Nov): Islam festival of sacrifice. 9. Mahavir Jayanti (Mar-Apr): Birthday of Jainism Lord Mahavir. 10. Janmashtami: Birthday of Lord Krishna. 11. Dussehra (Sep-Oct): Celebrating the defeat of the demon king Ravana by Lord Rama. 12. Guru Nanak Jayanti (Nov/21): Celebrate the birth of Sikh Guru Nanak. 13. Christmas (Dec/25): Celebrate the birth of Jesus Christ. 14. Onam (Aug-Sep): Celebrated throughout southern state of Kerala for the harvest season. Indian classical music can be roughly categorized into two: the northern Hindustani and southern Carnatic music, both continue to survive through oral tradition being passed on by teachers to disciples. In modern India, music from Indian films became world popular. 1. Bharatanatyam (Tamil Nadu) used to be performed in temples dedicated to Indian Gods. The common seen Shiva Nataraja (the Lord of Dance) sculpture is in Bharatanatyam dance form. 2. Kuchipudi (Andhra Pradesh) is quick paced dance form that has swift facial expression and body movement changes. 3. 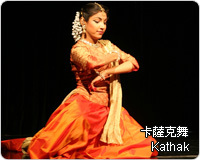 Kathak (Northern India) revitalised as a result of Mughal influence that is largely applied in modern Bollywood dances. 4. 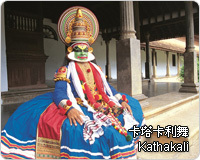 Kathakali (Kerala) is a dance drama form. Its dramatic makeup and costume are said to have linkages with the traditional Chinese opera. 5. 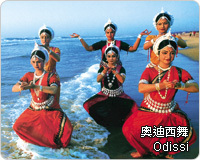 Odissi (Orissa) is romantic and graceful. 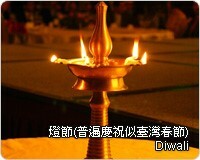 Its famous three body bends reflects the beauty of human body and the circled head accessory glows like the sun. 6. Mohiniattam (Kerala) has graceful movement that is considered to have magical enchantment. 7. Manipuri (Manipur) has its delicate and lyrical style that meant to be religious and spiritual. 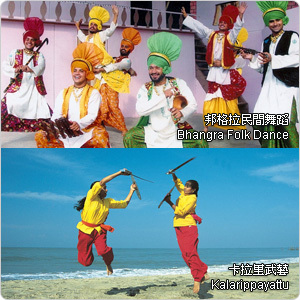 Folk and tribal dances are of numerous patterns such as Bhangra, Kalarippayattu etc. Bhangra dance from northern Indian state of Punjab celebrates the harvest. Bhangra folk dance is fun and funky. It’s lively rhythm can be heard in many Bollywood songs and Bhangra music is remixed in different styles worldwide. Kalarippayattu is the mother of all the martial art forms in the world. It originated in southern Indian state of Kerala. It is an intricate blend of physical prowess, mindset, martial techniques and indigenous medical system. Theatre in India is as old as her music and dance. Classical theatre survives only in some places. Folk theatre can be seen in its regional variants practically in every region. There are also professional theatres, mainly city-oriented. Besides, India has a rich tradition of puppet theatre including prevalent formed puppets, rod puppets, glove puppets and leather puppets in states such as Kerala, Tamil Nadu, Orissa etc.